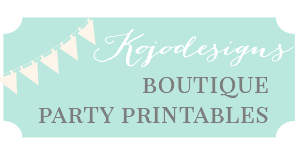 Hey Kojo fans! I am so excited to be celebrating green here with one of my blog besties, Kirstin. Hasn’t it been such a great Color Your Summer!? I can hardly believe it’s almost over! Because my daughter has allergies, I made this dairy, soy, nut, and egg free but you can substitute your cake and cream with traditional versions if you like. Start with your choice of cake. 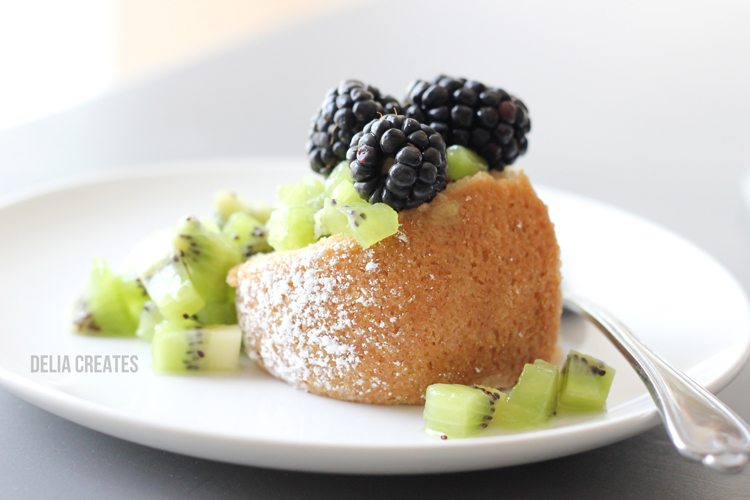 Pound cake or Angel Food Cake are the most common cakes. Because those cakes rely heavily on butter and eggs to come together, I chose to make just a plain vanilla cake using this recipe HERE from Milk Allergy Mom. Instead of the chocolate cake, I made the vanilla cake variation listed at the end. And…I just have to say. 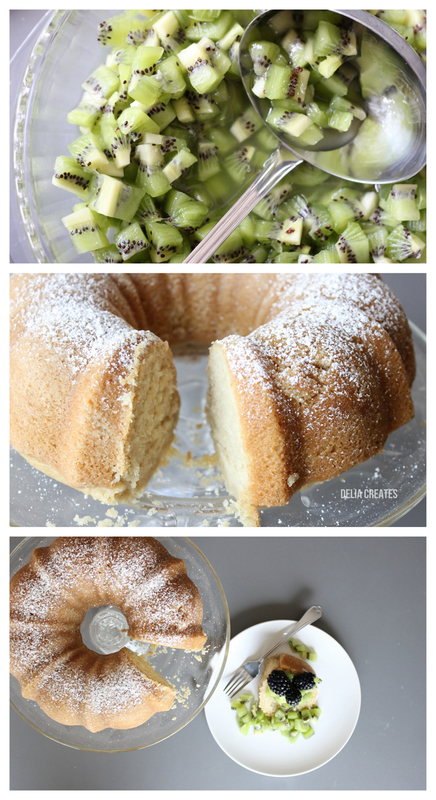 This not only comes out just as well as a normal cake recipe, it might come out better. You know those trendy gourmet cupcake shop cupcakes? Yep..it’s moist, and rich just like those are. 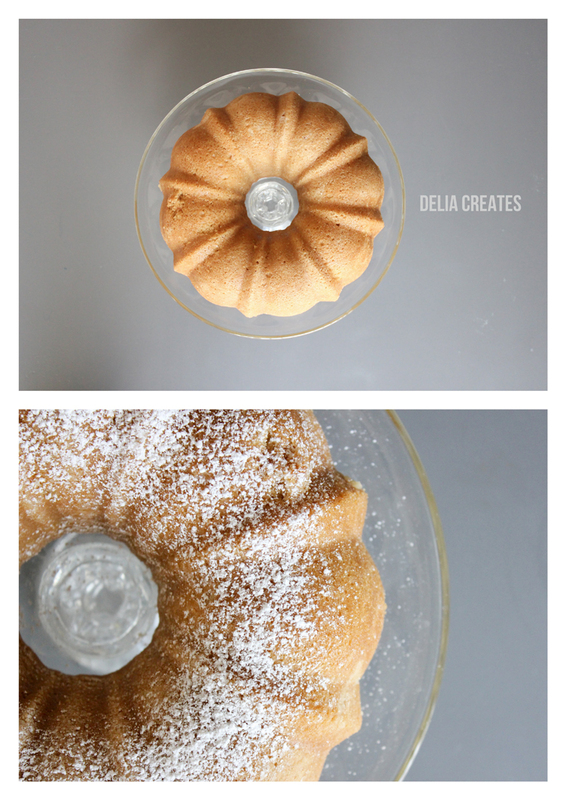 I doubled the recipe so I could cook it up in my vintage bundt cake pan. 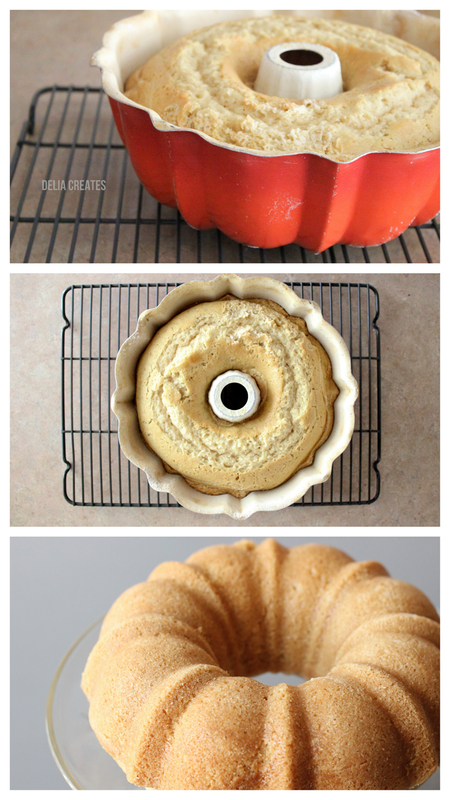 Best bundt cake pan I’ve ever used. I gave the pan a generous coat of oil and dusting of flour to help the cake un-mold successful. It didn’t come out completely unscathed but that’s nothing a pretty little dusting of powdered sugar couldn’t fix. While the cake was baking and cooling. 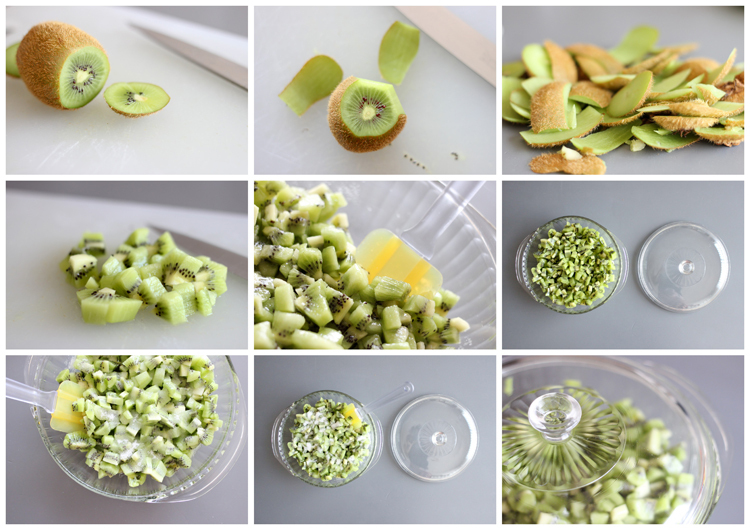 I peeled and chopped a dozen kiwis. I put them in a bowl with a lid (saran wrap will do great as well), added a layer of sugar on top, gave it a stir, covered it, and let it set in the fridge. It needs to set for at least 4 hours or overnight. The sugar softens up the kiwis and brings out it’s juices to make a syrup. More sugar generally will mean more syrup. I was a little more conservative with my sugar this time. 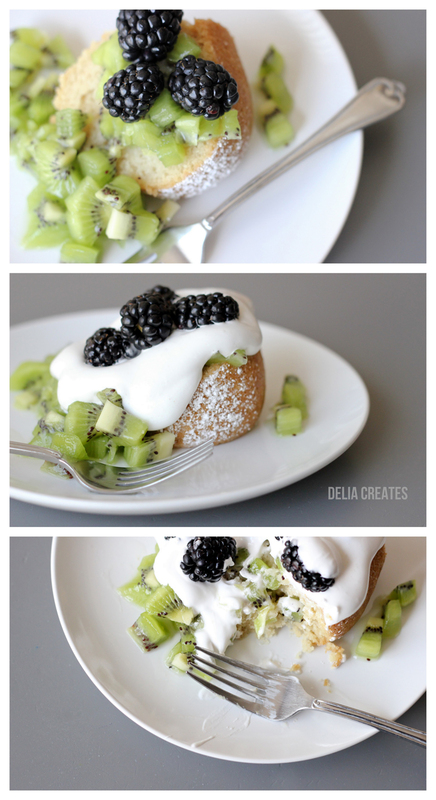 I also like to do this with strawberries – see my Creamosa post from last year’s Color Your Summer. You can stop here, and cut yourself a slice. Or if you prefer a little cream on top. 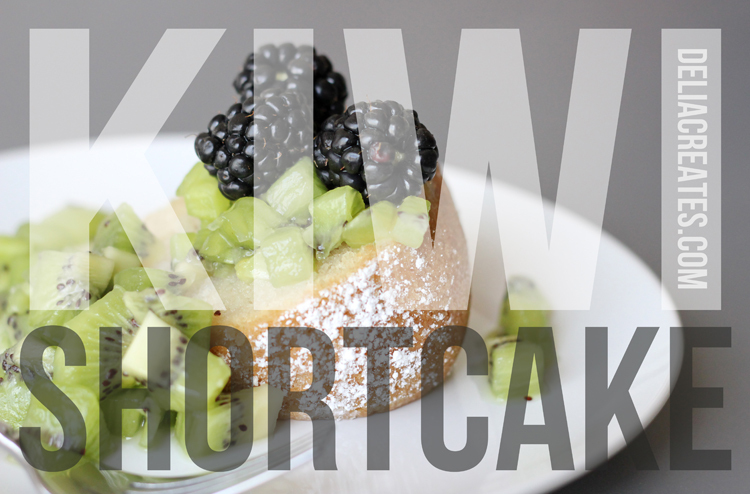 Coconut cream complements the kiwis just perfectly! I read a slew of recipes online, some saying to skim the cream off of a can of coconut milk, some saying to use a can of cream of coconut. While typing up this recipe, I did another search and I found THIS recipe that looks pretty good. The end result is still not the stiff peaked dairy whipped cream I know and love, but it’s a nice alternative. And if you are going for the right flavors…for this cake. 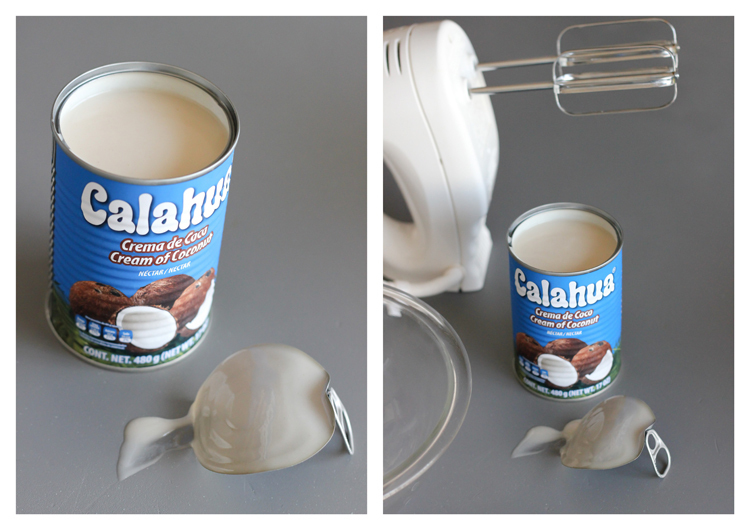 The coconut cream is the way. to. go. 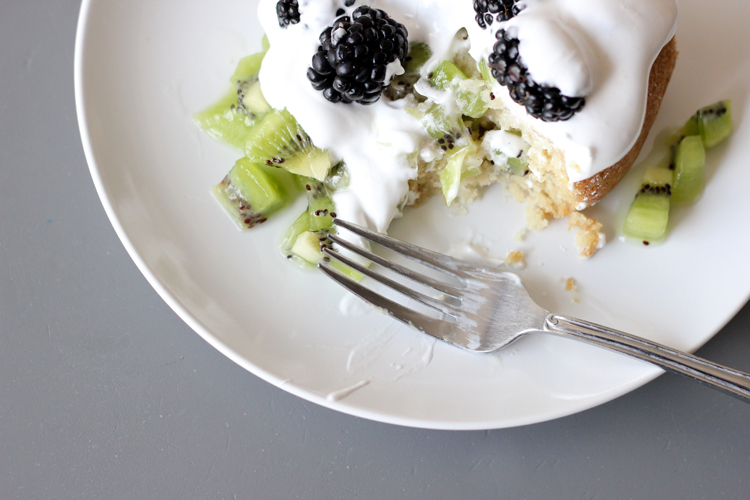 The pairing of the coconut cream with sugared kiwis, and sprinkle of black berries over a delicious cake…was divine. I didn’t miss the other ingredients one bit. Adore Miss Delia and her amazing ideas- including (but not limited to) this all occasion chalkboard bunting, these oh-so-fabulous knit produce bags, these easy (and adorable!) 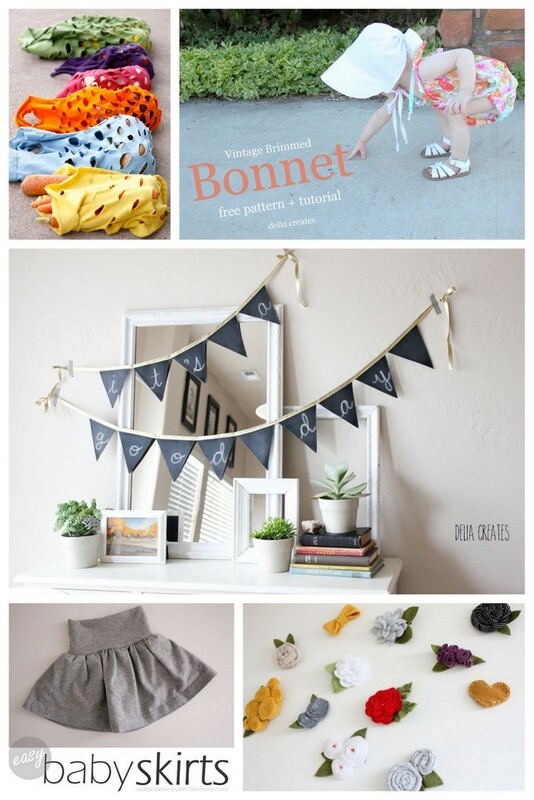 baby skirts, this extra cute bonnet pattern, and these baby hair accessories (aren’t they sweet?). Not only is this girl talented, she is the best Color Your Summer co-hostess we could’ve asked for- love her! 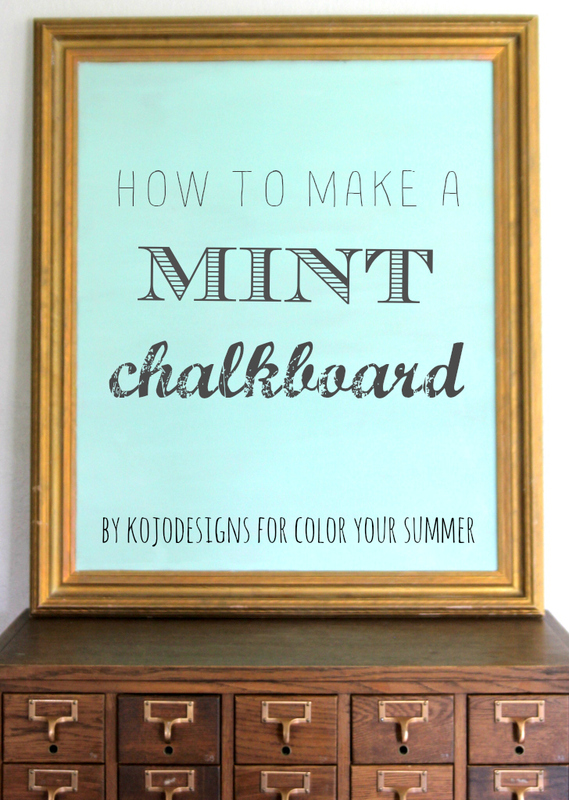 And be sure to head over to Delia Creates to check out our mint green chalkboard tutorial as well!